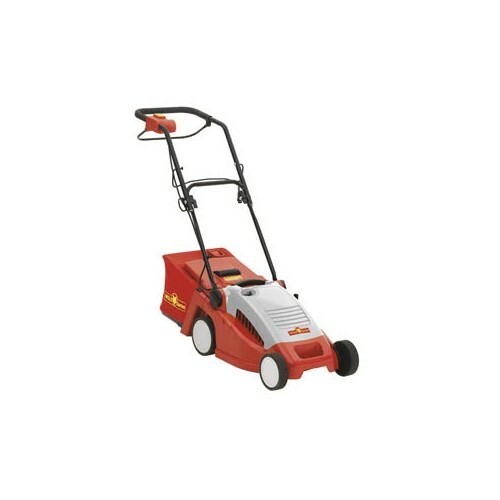 The light and compact electric lawnmower 37 E is equipped with a modern asynchronous motor (230 V, 1500 watts, 00 rpm) and with a precision-ground blade. With the clever CCM (Cut / Collect / Mulch) system, the lawnmower offers the option of collecting cuttings as required or feeding them finely chopped directly back into the lawn as mulch. Many sophisticated extras ensure greater ease of handling. Its cutting width is 37 cm, with central 5-level cutting height adjustment.